Did you HEAR? We have been busy this week touring schools and surprising students who were chosen to receive a HEAR Scholarship. Claudia Szaflarski was delighted to receive a check for $20,000 to help with her college tuition fees! Please join us in congratulating these students as we celebrate their fantastic achievement. They will be attending top universities throughout the United States, including Drake University, St. Edwards University, De Paul, Yale, Dartmouth College, Marquette, Boston College to name a few. 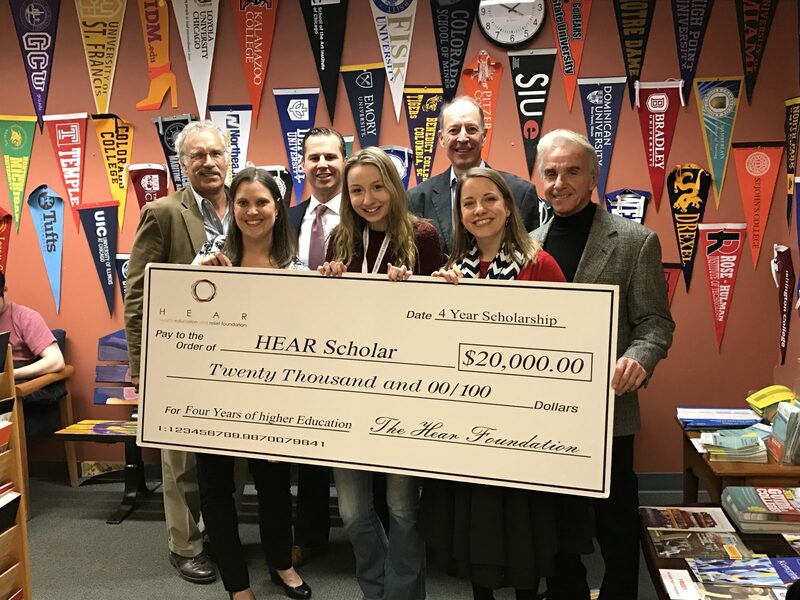 The Class of 2021 HEAR Scholars is the largest yet for the HEAR Foundation. We are delighted to be able to help so many deserving students pursue their dream of a college education. We can’t wait to keep you updated with news of their successes and achievements as they navigate their way through this exciting, new adventure. 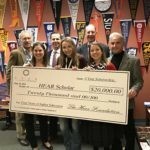 This year saw 500 High School seniors in need start an application to receive our scholarship. Of those, 200 applications were fully completed (along with letters of recommendations from their teachers and counselors) and submitted for review. A dedicated team on our application review panel spent many hours deliberating over the applications. During the third week of April, 30 students were invited to, and attended interviews. All of these students were of the highest calibre, and choosing the successful students proved to be very difficult. We would have loved to be able to award everyone a scholarship, but finally a decision was made and 16 students were selected to receive our scholarship. Thank you to everyone involved with the HEAR Foundation for helping to transform our mission into a reality. We hope to be able to increase the number of scholarships we can offer each year, and can only do that because of your continued support and commitment!